The Coroverge Verge Section is available in Anthracite Grey, Brown and Terracotta. 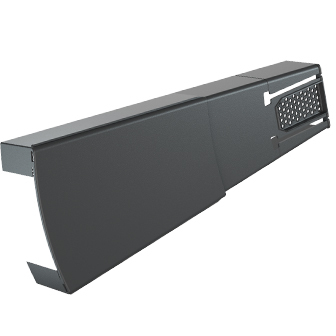 Designed for maximum easy installation the Verge Sections dual handed to fit both left hand and right hand sides of the roof. An in-built 'Drip Strip' allows rainwater to run off the Verge, preventing wall staining and potential damp. Adjustable positioning via the 'True Connect' locators and 'True Mount' allow the Verge Sections to suit various tile guages. Please refer to Coroverge installation guide for further instructions.